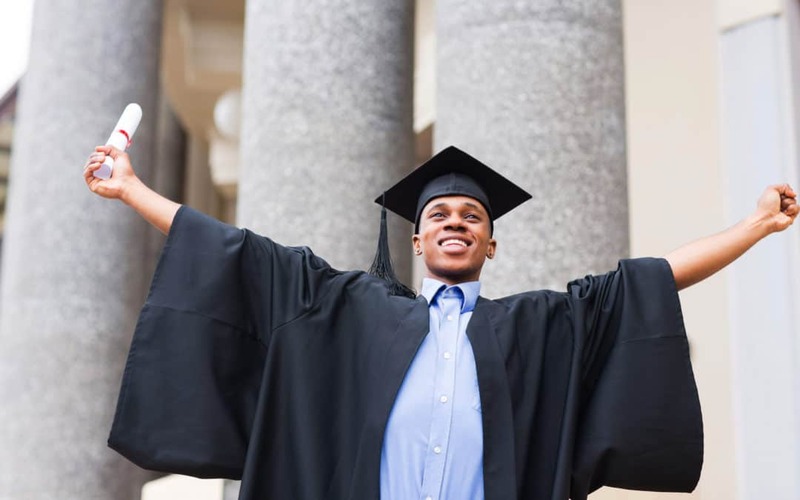 How Much Will Varsity Cost When Your Child Finishes Matric? Tshepo just about fell off his chair. It felt like the other day his son started school and now he was staring nervously at the admissions page of a local university’s website. To be honest, back then Tshepo was just happy to get his son into a good school close to home. He felt he could relax until high school rolled around and then start making plans to save for university fees. The problem is that the high school years did roll around and passed by in the blink of an eye. What does the first year at university cost right now? What do first-year studies cost? Whichever way he looked at it, Tshepo was in for anywhere between R50 000 and R60 000. And that’s for year one only. What will it cost when your child matriculates? So, we know how much it costs to send your child to university nowadays. What we don’t know is how much it will cost twelve years from now when your child matriculates. But we can estimate. There’s an interesting article on Stats SA relating to tuition fee trends over time. It seems as if 10% per annum is a reasonable figure to use if you want to work out how much it’s going to cost to in the future. Well, the first thing we know is that your child will spend the next 12 years in school. This means that your child will start university 13 years from now. We also know that the university costs shown above were for the year which has past. Wow! Can you believe that the R55 000 needed in 2019 for the 1st year of a University Degree will cost R172 613 when your child matriculates in 12 year’s time? What about the fees for the second and third year at university? One way is to take your chances and hope you can pay when the time comes. The second way to do it is to borrow the money. The problem here is that you’ll have to pay interest on the loan. A third and far better way is to start investing now and earn interest instead of paying interest. Why is the third option the best? Well, that’s a topic for another post. The “calculator” is not functioning??? Thank you for notifying us. We will get someone to have a look at fixing it ASAP. Thanks for the question, this is not an educational policy. It is an article that gives you suggestions regarding your child’s future financial education on how to save for them.